Having won a Planning and Placemaking Award earlier this year, our phased regeneration scheme Monksbrook Estate has been shortlisted for Inside Housing’s Top 60 Development Awards. The project, which was carefully masterplanned to increase housing density on the site whilst providing private gardens, a large central park and plenty of parking, has been shortlisted for ‘Best Designed Development of the Year’. Winners will be announced at a ceremony in London on 14 October. Monksbrook Estate in Eastleigh has won the ‘Planning for Affordable Housing’ award at the Planning and Placemaking Awards 2016.The awards recognise and celebrate outstanding achievement in planning work by all the key players in the planning system, with the winners chosen by expert panels of 36 senior figures from across the sector. ArchitecturePLB’s project saw 164 properties replaced with 237 mixed-tenure homes, increasing site density by 45 per cent while reconfiguring the estate. Judges praised the “well rounded scheme”, which involved adding private gardens, redesigning the public realm and removing two “rat-run” roads. Richmond Adult Community Centre’s new build and refurbishment project triumphed at the Brick Awards 2015 this week winning ‘Best Public & Education Building’ and ‘Best Refurbishment’. The awards, held annually, celebrate excellence in design and construction using brick and attract hundreds of submissions each year. As part of our active programme of collaboration, Architecture PLB developed this project from stage D designs by Duggan Morris, taking the project through to completion on site. ArchitecturePLB team member Darren Wilson has been shortlisted for the inaugural AJ/Curtins Inspiring Graduate Prize. The prize recognises graduates working towards their professional qualifications who have made a significant contribution to their practice. After spending his ‘year out‘ at ArchitecturePLB, Darren returned in 2013 following completion of his University studies. Since then Darren has become an important member of our team, leading a number of education projects, receiving glowing client feedback and instigating team building events within the practice. We are delighted that his contribution has been recognised through shortlisting for this Prize. Read more here. University of Portsmouth graduate Martyn Webb (centre left) has been awarded the ArchitecturePLB sponsored Sustainability prize. The celebration event was led by Pam Cole (left), Head of School of Architecture with Dan Blott (right centre), Principal Lecturer and MArch Course Leader. The award was given by Rupert Cook (right) Director of ArchitecturePLB at the event held within the School of Architecture prior to the Graduation ceremony. Congratulations to Architectural Assistant Tom Hayes in our Winchester office who was recently awarded an RIBA Student Award for his Part II project, ‘Branching Out’. His project seeks to explore the role of Botanic Gardens in society through developing abandoned housing sites in Estepona, Spain. The project aims to integrate the existing economies of agriculture and tourism in order to revitalise this area of the Andalusian coast. Congratulations to Architectural Assistant Dan Trenholme in our London studio who has been awarded the prestigious RIBA London Student Award for his RIBA Part I work. His work focused on the redevelopment of the Heygate Estate in Southwark; relocating the adjacent shopping centre and combining with residential units and city farms to create an alternative, self-sufficient community. Dan presented his work to the office on Friday afternoon, followed by lively debate amongst all staff about the concept and admiration of the intricate hand drawn plans. We are pleased to announce that Sunfield Close has been shortlisted for a RICS Award within the Regeneration category. Our LSE Towers Reception project has been shortlisted for an AJ Retrofit award. The project is receiving positive feedback from client and end users. Midhurst Rother College scooped an award in the Public and Community category at this years’ Sussex Heritage Trust Awards. The project was commended for it’s design and external areas which were considered in keeping with local surroundings. We were delighted to announce that the Aveling Centre, Lloyd Park in the London Borough of Waltham Forest has been shortlisted within the highly contested Public Buildings Category of the New London Architecture Awards 2013. The Award ceremony was combined with the NLA’s annual lunch at London Guildhall, attended by over 700 guests on July 11th. Sunfield Close has been awarded a Quality Place Award, presented to Project Architect Paul Phasey at the Solent Design Award Ceremony last night. The scheme, which comprises 17 houses in a mix of affordable rent and shared ownership, was praised by the judges for its brave design in challenging conditions, good proportions and massing that related sympathetically to the street. The scheme meets Code for Sustainable Homes Level 4 and residents interviewed said that their new house had been life-changing in terms of energy efficiency and in bringing a real sense of community. Visit the Solent Design Awards website for further details. Sunfield Close, a new housing development in Andover, has been shortlisted for the 2012 Solent Design Awards. Organised by the University of Portsmouth, the Awards aim to encourage high quality place-making. Alongside the professional judging which will take place on 15th October, voting is also open in the People’s Poll, so that the public can choose their favourite. Please visit www.solentdesignawards.org.uk to register your online vote for Sunfield Close between 1st and 31st October. ArchitecturePLB’s Sunfield Close housing scheme in Hampshire has won a UK Housing Award. Announced at the Hilton Park Lane ceremony yesterday evening, the development for Radian and Test Valley Borough Council won the small schemes category for ‘Development of the Year’. The judging criteria included demonstrating the highest design and build quality, best value for money, supporting the area’s specific housing needs, and engaging with the local community. For more information about the awards click here. This year’s AJ100 rankings have been published, with ArchitecturePLB placed 70th out of the top 100 architectural practices in the UK. For more detailed information visit the AJ website here. ArchitecturePLB’s Barnfield West Academy in Luton has been shortlisted in the Secondary Schools category of the British Council for School Environment’s ‘Best of British Schools Awards 2012’. This new-build secondary school was designed for 1450 students aged 11-19 and constructed on a tight suburban site alongside the existing, occupied buildings. Originally appointed directly by Luton Borough Council, the Design Team were novated at RIBA Stage E to Wates Construction to be delivered through LBC’s BSF programme. We are pleased to announce that the Teaching and Research Centre at the Royal Veterinary College has been shortlisted for the New Laboratory Building category at the 2012 S-Lab Awards. This awards scheme recognises excellence in laboratory design, operation and management, and in laboratory-based teaching and learning within educational institutions, where performance has been improved and safety and sustainability enhanced. For more information on the scheme, see our Universities and Colleges page under Projects. Sunfield Close in Andover has been shortlisted at the CIH UK Housing Awards, where excellence across the housing sector is recognised. The scheme for Radian is a finalist in the ‘Development of the Year – Small Schemes’ category. An overall winner, which demonstrates the highest design and build quality and best value for money, which has supported the specific need for housing in the area, and which has undertaken extensive working with the local community, will soon be selected from the shortlisted schemes. We are pleased to announce that Barnfield West Academy, a 1450-place school in a leafy suburban area of Luton, has been shortlisted for this year’s Brick Awards. The materials and palette were chosen with the Sponsor and Academy to create an identifiable federation image, and the buff brickwork brought indoors to help reinforce the identity of the performing arts block and blur the distinction between inside and outside. The same buff colour brick is extended to the landscaping of the courtyards, paired with a grey block to help tie the external spaces to the building. Our client Spectrum Housing Group was thrilled to receive a Gold Award in the Building for Life Awards – the highest possible standard. Building for Life promotes design excellence and celebrates best practice in the house building industry. The commission was won in design competition promoted by Southampton City Council and completed in early 2011. 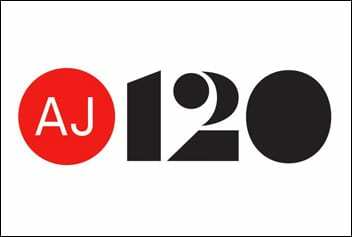 ArchitecturePLB is delighted to have won the AJ100 Employer of the Year award for the second year running. The judges were impressed by our professional approach to adopting good employment practices, resulting in strong responses in the AJ100 staff satisfaction survey. Mike Skilton, Director, accepted the award on behalf of ArchitecturePLB at last night’s awards ceremony.